Thanks to designer Chuck Green for reviewing this cool type tool in his latest Design Links Briefing! Click on the link below, then click on “load fonts” to load all the fonts in your computer into the utility. 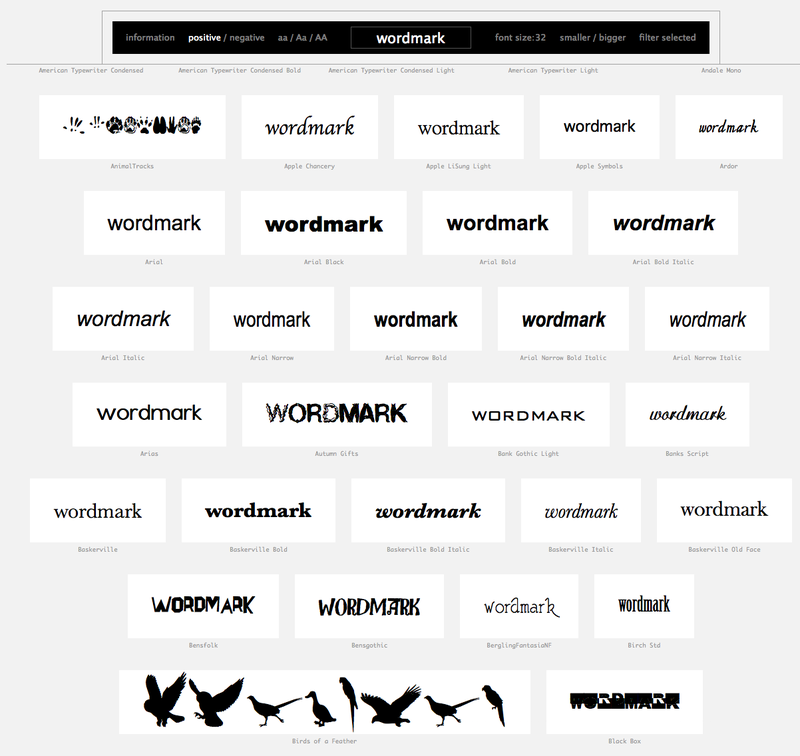 It’s a great at-a-glance look at your fonts, especially when you’re stumped for a new look for a print project and don’t remember what fonts you own. For more great design and photography resources, links and tips, sign up (it’s free!) for Chuck’s Design Links Briefing (two e-mails per month) here. 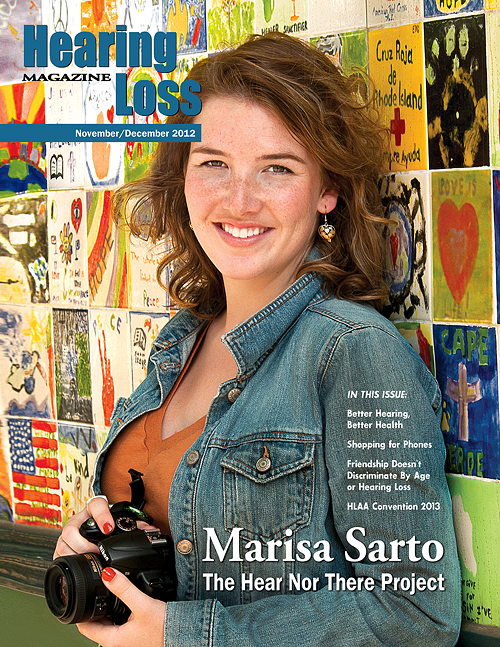 The last issue in 2012 of the Hearing Loss Magazine (HLM), published by the Hearing Loss Association of America (HLAA), just arrived in member mailboxes last week. 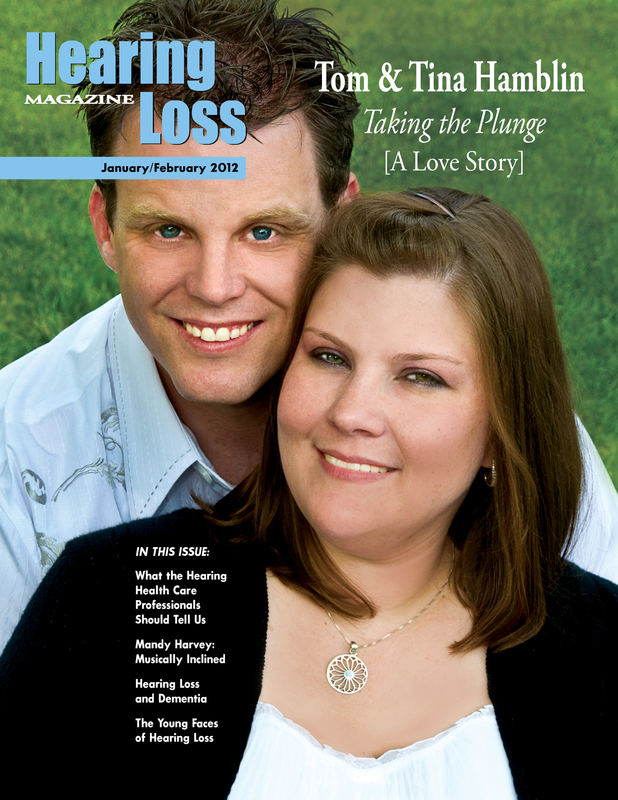 I design the bimonthly magazine and provide photography services to HLAA. Here is a recap of the issues published in 2012. I first met Tina and Tom when they arrived for their engagement photo session at my favorite location to shoot, Green Spring Gardens, in Alexandria, VA in spring 2011. After we did our portraits around the garden, Tom started doing cartwheels (he’s a gymnastics coach) and I captured him in full motion—making it the first time I’ve ever photographed someone doing anything gymnastic. I captured him in his wedding finery doing some handstands and cartwheels on his wedding day as well! My colleague Ed and I photographed Tina and Tom’s wedding on October 8, 2011 in Kurtz Beach, Maryland. Also in this issue: Audiologist Brad Ingrao focused on the best practices for hearing assessment and hearing aid fitting in Getting it Right the First Time: Best Practices in Hearing Aid Fitting; Gael Hannon showed us a practical look at information that would be helpful to those who have hearing loss in What the Professionals Should Tell Us; Michael Ann Bower discussed what people with hearing loss can do to avoid the misdiagnosis of dementia when hearing loss is the issue in Hearing Loss and Dementia; and Barbara Kelley interviewed young jazz singer Mandy Harvey in Musically Inclined. 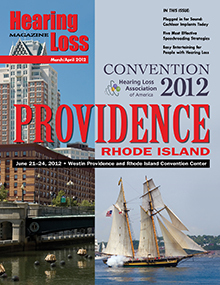 The March/April issue featured the host city for the upcoming Convention 2012—Providence, Rhode Island. HLAA’s Director of Marketing and Events, Nancy Macklin, presented a comprehensive guide to the upcoming convention in this issue. Also in this issue: Audiologist Brad Ingrao discussed cochlear implants in Plugged in for Sound: Cochlear Implants Today; Scott Bally outlined the Five Most Effective Speechreading Strategies; Renowned audiologist Mark Ross talked about hi HealthInnovations Hearing Aid Dispensing Program; Meredith Low, a pro at planning and making sure that the communication environment is arranged so she can enjoy the party as much as her guests, offered great tips in Welcome! Easy Entertaining for People with Hearing Loss; Pamela Selker Rak shared her experiences with hearing loss in Lost in Translation: How a “Lost and Found” Friendship Opened My Eyes to Hearing Loss; Lise Hamlin focused on HLAA’s efforts in Advocacy: A Few Hot Issues, and HLAA member Netegene Fitzpatrick crafted a special Word Search puzzle for her fellow members to solve. I had the honor and pleasure of photographing Richard in March 2012. Barbara Kelley (HLM’s editor-in-chief) and I met up with him at the Peabody Conservatory in Baltimore. After a great photo session, we dropped Richard off at his hotel and picked him up later to take him to the Meyerhoff, where his work, Voices of Light, was being performed by the Baltimore Symphony Orchestra, with Marin Alsop conducting. Einhorn composed the piece in 1994, inspired by the 1928 silent film, The Passion of Joan of Arc, directed by Carl Theodor Dreyer. Live performances accompany a screening of the film. 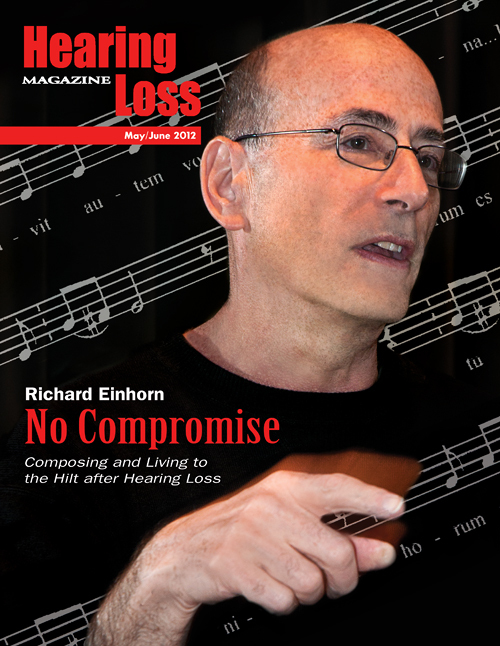 Also in this issue: Barbara Kelley interviewed Richard Einhorn to learn more about his work and future projects; Therese Walden, president of the American Academy on Audiology, discussed the UnitedHealthcare® hi HealthInnovations hearing device benefit program in Self-Diagnosis, Self-Treatment: The Wave of the Future? ; Brad Ingrao wrote about water-resistant hearing aids and cochlear implants in Jump Right In! Water-Resistant Hearing Technology; Lise Hamlin revisited the Americans with Disabilities Act 22 years later in Accessible Design for People with Hearing Loss; and Yoona Ha revealed the special bond with her grandmother in My Six-Million-Dollar Grandmother. Also in this issue: Brad Ingrao helps you understand your hearing loss and what you need to hear better in Beyond the Beeps: Needs Assessments and Outcome Measures; Lisa and Des Brownlie shared their experiences of their babies born with hearing loss in Two Children, Two Hearing Losses; Sam Trychin discussed research that has uncovered information about another built-in, inherited type of pain that also has survival value—social pain—in Hearing Loss and Social Pain; Lisa Tseng of hi HealthInnovations shows the company’s model for how to reach those who need hearing help in Accessible and Affordable Hearing Health Care; HLAA’s Director of Public Policy, Lise Hamlin, reveaks her personal experiences resulting from the fruits of HLAA’s labor in Newborn Hearing Screening: A Success Story; and Viola LaBounty expresses her improved hearing loss through her poem, Digital Technology: My World Alive. 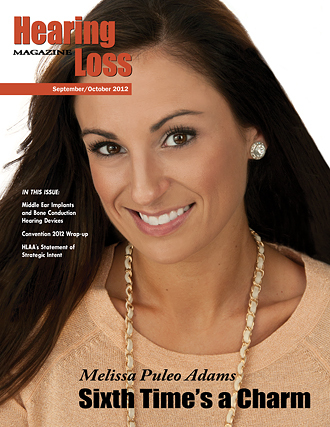 Also in this issue: Audiologist Brad Ingrao provided an in-depth look at three alternative hearing systems in Middle Ear Implants and Bone Conduction Hearing Devices; HLAA’s Director of Marketing and Events, Nancy Macklin, revealed highlights in her Convention 2012 Wrap-up; Susan Clutterbuck wrote about the results of the EARtrak survey and if they reveal whether or not consumers’ opinions are being heard by their hearing health care providers in Improving Health Care—Make Your Voice Heard! ; Ronnie Adler shared great stores about how Walk4Hearing Funds are put to good use in local communities in Rewarding Great Ideas—The Benefits of the Walk4Hearing; and Scott J. Bally showed how NVRC is changing lives in the community in NVRC: A Model Community Center Improving Communication. 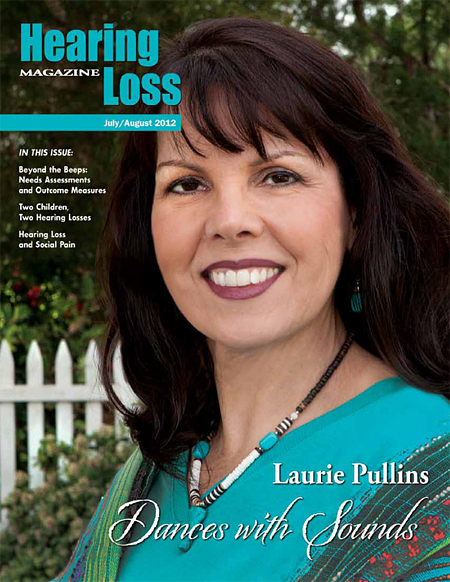 Also in this issue: Audiologist Brad Ingrao’s article, Better Hearing, Better Health, explored the relationship between hearing loss and health-related quality of life; HLAA’s Director of Marketing and Events, Nancy Macklin, showed us why It’s Time to Head West! with her Convention 2013 Sneak Preview; Hayleigh Scott, owner of Hayleigh’s Cherished Charms, and Netegene Fitzpatrick proved there isn’t a generation gap among people with hearing loss in their feature, A Unlikely Friendship; HLAA’s Director of Public Policy, Lise Hamlin, reported good news in Shopping for Phones; long-time HLAA member Vern Thayer explained why he is Lucky that he discovered HLAA in 1983; and HLAA members George Kosovich and Marisa Sarto were both profiled in Seen & Heard. 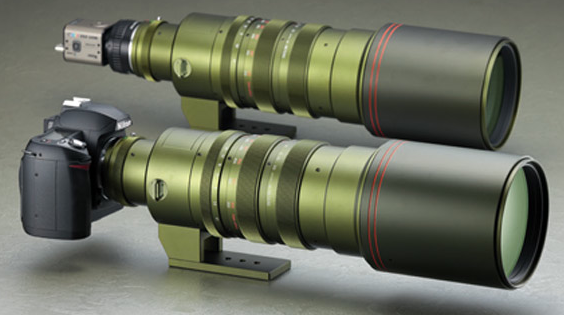 Now THIS is what I need—a super macro zoom lens! If I could just get everyone I know plus everyone they know (including my blog followers, family members, friends, colleagues, clients, vendors, childhood friends, high school teachers, patrons of the arts, lottery winners, random strangers, etc.) to invest just $10 each, I’d be on my way to purchase this puppy! Hey, Michael Powell, don’t you think we need this $12,000 lens? (oooh…love the pearly “nature-friendly” olive green color, too!) For the insanely curious, click on the link below the photo to read more about this monster priced-as-much-as-a-used-car lens! Thanks to photographer Chase Jarvis for sharing the story of The Marmalade, a boutique photography firm in Germany. The first video highlights what the firm can do. In the second video, you’ll learn about “Spike,” their high speed robotic camera. Unbelievable! I came across this lovely poem by German playwright, poet and theater director Bertolt Brecht (1898-1956) on many websites and the translation from German to English wasn’t the same on any of the sites, but this was my favorite that I wanted to share. Accompanying his poem is my photo of a lone cloud over Garvan Woodland Gardens in Arkansas. in my arms like a fair and lovely dream. Was a cloud that caught my eye. and when I looked up, it was no longer there. Came sailing in, then floated down the stream. Though what you have in mind I surely know. And yet her face: I really don’t recall it. I just recall I kissed long ago. 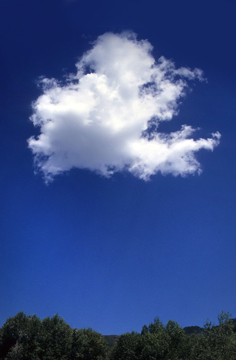 If that white cloud had not been in the sky. It was pure white and, oh, so very high. Perhaps the plum trees still are there and blooming. Perhaps that woman has six children too. When I looked up, it vanished in the blue. I was at Home Depot last week, parked in the upper level garage, when I noticed this guy in a cherry picker removing the last vestiges of our local Borders. The last evidence that it ever existed. We frequented this Borders for so many years. It was our place to go after dinner on Saturday nights. Sometimes we would be out riding around and we would say at the same time, “Wanna go to Borders?” When our friends Carmen and George still lived in Virginia, we would go to dinner (usually Mexican at El Paso) and straight to Borders afterward—scattering in four different directions, then returning with an armload of books. So, as a tribute to you, dearly departed Borders, I offer my Top 10 Memories (in no particular order) throughout the years. Memory #1: Borders in Tysons Corner, one summer evening. Scores of coffee table books stacked up against the windows. Each marked with that lovely red triangular-shaped sticker—$1. $1? It can’t be. Gorgeous color books on every subject imaginable (some interesting, some not so much). I promptly buy one of each. Yes, you read that right. One of each. It takes four trips for me and Michael to carry my loot out of the store. Most topics were of interest to me; those that were not could surely be gifts for someone else, no? It is my fondest moment shopping at Borders. We would go on to find other instances where beautiful books were marked that low, but this excursion was magnificent in its quality and range of subjects. It certainly doesn’t help that in my profession, I’ve actually designed books on numerous occasions—I’ve been known to buy a book solely for its brilliant presentation. Besides, who doesn’t need an oversized book about the history of the John Deere tractor for just $1? I still have dents in my forearms from holding overstuffed plastic carts while in line. Truly good management would have provided those little mini-grocery carts for biblioholics like me. I’m just sayin’. Memory #2: Michael catches up on his zzzzzz’s in a public forum—ah, fond memories of finalizing my (seemingly random) selection for the evening, then heading to find Michael. Where would I find him tonight? Battling cyborgs in the science fiction aisle? Woodworking? Contemplating learning more about the harmonica, lap harp or guitar? Considering hydroponics or welding as a sideline? Pondering on whether we already owned this particular one-pot cookbook? Honing his wilderness survival skills in the nature section? Having an overpriced coffee and skimming through books he didn’t plan on purchasing in the coffee shop? Wherever he was, he would invariably be nested in a comfy chair, head bowed, an open computer book in his lap. Asleep. 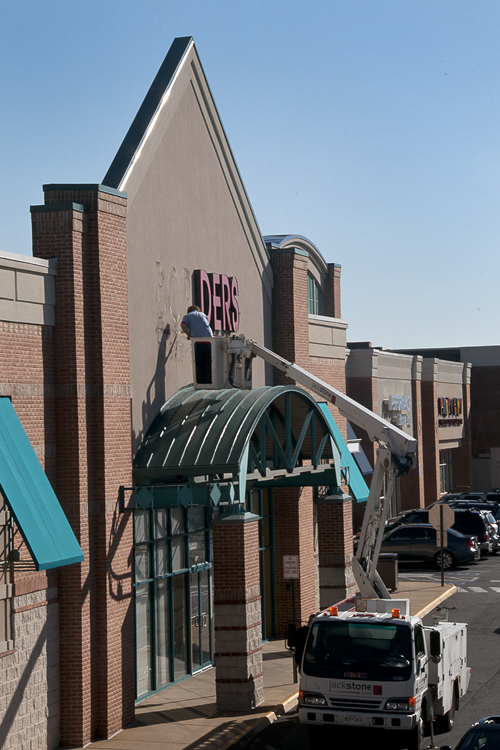 Memory #3: When we first learned just a few of our area Borders were closing, we took advantage of the closing sales. As usual, the discounts came painfully slow, seemingly like this: Now going out of business—everything in the store—10% off (Really Borders? 10%? How bad do you really want to close? ), then week after week finally progressing to 60 then 70% off. Thank you for finally breaking the 70% barrier and filling in those gaps on my shelves (as if there were any gaps). One would think there wouldn’t be much to choose from at that point. Au contraire! We are fascinated by virtually any subject (just call me a bower bird). Of course, there are exceptions—anything mathematical immediately sends me back to painful days in college, wondering how I could finagle a diploma without passing math that final year. I did graduate (bless her little heart) and it did not involve special favors to any professor—although if you had told me at the time that it was the only way I would graduate, I am not ashamed to admit I would have given it serious thought. I am fairly adept at many things; aptitude with numerals isn’t one of them. Memory #4: My father was the bearer of the bad news: All Borders were closing. Deep down, I subconsciously knew it was coming. Mercy, I was in such denial. No Borders? Where would we buy an overprized hot chocolate with yummy foam, white chocolate shavings and that cute little chocolate stick in the middle (even in the summer)? Where else could I buy yet another obscure cookbook for just $1.99? I still possess A Taste of Eritrea (really, Cindy?) among my culinary tomes. This is particularly funny, given that I cook maybe once a month and only if you can catch me in that kind of domestic mood. Memory #5: Borders was one of the first stores (to my recollection) that let you listen to the music of select artists. I fell in love with Eva Cassidy’s voice when she was a staff selection and I eventually bought everything she recorded in her short life. Thanks for introducing me to Tingstad and Rumbel, Cheryl Wheeler, Katie Melua, Lara Fabian, Christine Kane and Tina Arena as well. Memory #6: Free coffee grounds for my garden. Thank you for enriching my little paradise for so many years, Borders. Memory #7: Lindt white chocolate balls, impulse buys at checkout. 3 for $1. I was visiting my family one Christmas and my dad and I went to a Borders. I bought three and handed him one. He hadn’t ever had one and the look on his face when he bit into one was priceless. All he said, with his voice trembling, was “oooooooooooooohhhhhhh.” I only had one complaint, Borders. When you sell them 3 for $1 and there are two people involved, it’s virtually impossible to evenly split that third one without getting greedy with the oozy (and best) part! Memory #8: Ah, love me some 40-50% off coupons in my e-mail. And Borders Bucks. And Borders Rewards Plus. And free drink coupons. They may have been part of why you went out of business, Borders, but they did not go unappreciated. These were the times when I could justify buying that lovely coffee table book about fancy chickens or one of Martha Stewart’s many visually arresting “look what I have that you don’t” books. And oh how you discounted those gardening books. You’re the main reason my shelves are overflowing with hundreds of books on that very subject (and no, I will not tell you just how many). Although you are gone from my life, Borders, I will always love you more than Barnes & Noble. They are now the only game in town, and although I am forced to frequent them now, I will do so with a wee bit of disdain. And by the way, I know you probably profited by selling them that membership list with my name on it, but unless they’re going to start sending me 50% off coupons, I am ignoring their repeated attempts to lure me in completely. Memory #9: Finally, when the periodicals hit 80% off, I could afford one issue each of those $15 craft and foreign Photoshop magazines I always avoided! AFTERTHOUGHT: I neglected to thank Michael for all those wonderful $50 and $100 Borders gift cards he begifted me throughout the years on various occasions—birthdays, anniversaries and Valentine’s Day. Those cards are the reason why my library is topped off with oversized, gloriously illustrated books whose sole topics are snowflakes, penguins and succulents (to name an obscure few). Though some might find it an impersonal gift, he is a man after my own heart. Only a biblioholic would truly understand. I just had someone comment that they didn’t know all the stores had closed and that they guessed they could no longer use their gift card. How in the world do you keep one that long? Mine were spent before I could say thank you to the giver! CHIME IN! Do any of my fellow biblioholics have any treasured stories about frequenting Borders? Leave a comment and I’ll compile fodder for a future posting! From composerinthegarden.wordpress.com: A witty and fond look at a once great place to gather. Here in the rural suburbs, it was a beacon of civilized life and a favorite gathering spot, complete with live music on Fridays. Now sorely missed. Thanks for the great post! From jntquigley.wordpress.com: Great ‘farewell to Borders’ post! I miss it terribly, also. It was always my favorite getaway place on my day off or after work. From thatgirlwhit.wordpress.com: saddest. thing. ever. From barbaragarneaukelley.wordpress.com: Cindy: What a lovely post! And, I have been the lucky recipient of some of the bargain books you have bought over the years. From thekingoftexas.wordpress.com: Loved every word of it, and you aren’t exaggerating about the countless books and magazines and various ephemeral items such as the white chocolate you grudgingly shared with me. I should know, because I’ve staggered out with many a load of books for you—in fact you have a large box of books that has been in the closet waiting for you. The way I remember the white chocolate was that you consumed two of the three pieces before you asked if I wanted one. Just look at the amount of ink and paper you used—this was so not green! All seriousness aside, this was a great posting and a glorious tribute to a worthy organization. You done good, ija de mio. From Dan: How Chastity became Chaz? Shall I draw you a picture?! After you watch this TED video, read the article by composer Eric Whitacre here.